Ray: Hi everybody! 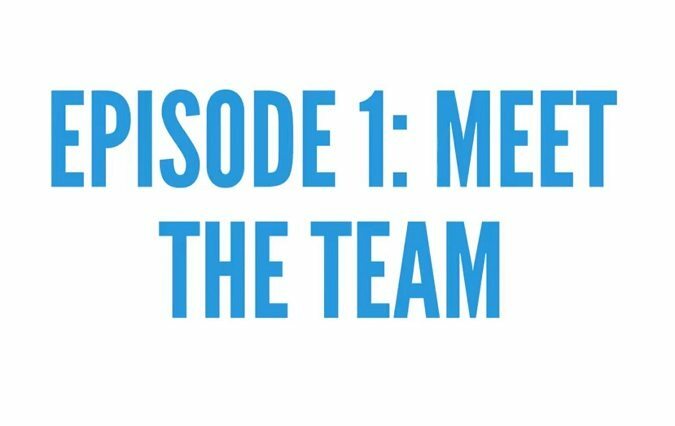 Welcome to the first episode of FEAT First, our new video series. Today we just want to dive in and allow you to get to know us a little bit better, because I’m sure we’re going to be getting to know you throughout this journey. We’ll give a little background about each other, how we got into the industry and everything, what we like to do outside of work. What resources and people we pay attention to. Really get into it. Hanna do you want to start and tell us a little bit about you? Hanna: Sure! I’m Hanna. Hanna Roberts-Williams, I, woah, 6 years in marketing, lots and lots of stuff that I’ve done. Here at webFEAT I am a digital media designer which also means I am a nerd. I do a lot of SEO content work, just like our lovely K over here. Well, I blog, essentially, work on a lot of website content, and actually the ins and outs of whatever I need to do to make funnels correctly work. Big fan of user-experience. At the end of the day I’m all about that connection of language to this image of what a website is. I come from a background of creative writing. I am from Louisiana, repping the south up here in Ohio. And i’m almost 20% of this team saying “y’all” which is a big accomplishment in my book. (side exchange.) I went to LSU and studied creative writing and French literature. I know that has nothing to do with marketing, but somehow my love for writing and connecting people together, and talking to an audience, and getting behind what your point of view is, and how that actually is relevant to whoever is reading it. That led to me meeting Summer White of Good Work Marketing down in Louisiana. That kind of created a little team. We joined up and I was their intern, turned to copy writer, to project manager and content strategist for all of the little projects we would do. That really got my gears going on how the user-experience as a website, and how people read a website as a actual entity of what the company is, what they do, and why they exist in the world. Not just what they offer, even though that’s kind of important too, but moreso that actual existence and presence in the digital world. Going from that I mean, I ended up moving up here, found webFEAT, and thankfully webFEAT took me under their wing. Now I’m just a digital media designer looking to break into what your voice is and how you are relevant to the world. K: Alright, I am K, I’m our SEO content specialist, which boils down to, I write things that I hope people find through search. As far as background goes I don’t have a lot of direct SEO experience, but I do a lot of digital communication experience from Ohio State up in Columbus. As far as how I got into the industry, I studied English. I didn’t really focus on anything, but I just have a general interest in words, language, and how to connect people to things, places, and corporations. Through my time working in digital communications, I came to understand that digital marketing, specifically the copywriting side of digital marketing was a perfect way for businesses to use words to connect with their audience. Why that happens and how that works is something i’m really interested in. Especially search, because it’s a lot of psychology. Those are what my interests are. As far as what i like to do outside of work, 2 things are taking up all of my time. 1, I’m learning how to cook. 2, I’m learning how to play the piano. Hopefully in 5 years I’ll be really glad I did both. That’s it for me! Ray: As you know from the first video, I’m Ray Cheselka, SEO and AdWords manager here. Got into this through my cousin, who was in the industry working for a similar firm to webFEAT up in Cleveland. Fortunately he let me come and shadow him for a couple days, and it was really intriguing, everything that goes into digital marketing and building websites. Then I was down here at the University of Cincinnati, and through their recruiting system (for when you’re graduating or trying to get an internship) I ended up finding out that Michelle, our owner/CEO, was in one of my classes. I met her before the final, got an interview and now we’re coming up 4 years now since I started here. Also, didn’t really have, like K, any SEO background or anything. I did go to school for Marketing so that worked out, but Michelle taught me a lot, and just through reading and following some people in the industry (which we’ll talk about here in a second) just learned a lot. I continue to get excited every day coming to work, and I think we’d all also agree that it’s really rewarding when you write a piece of content, or build an audience, and a client comes back to you and says ‘hey business is better than ever’. I think thats a core reason why we’re all in this and keep wanting to get better every day. Outside of that, similar to these guys, love food. Love to travel and try new things, keep everything fresh and have fun.